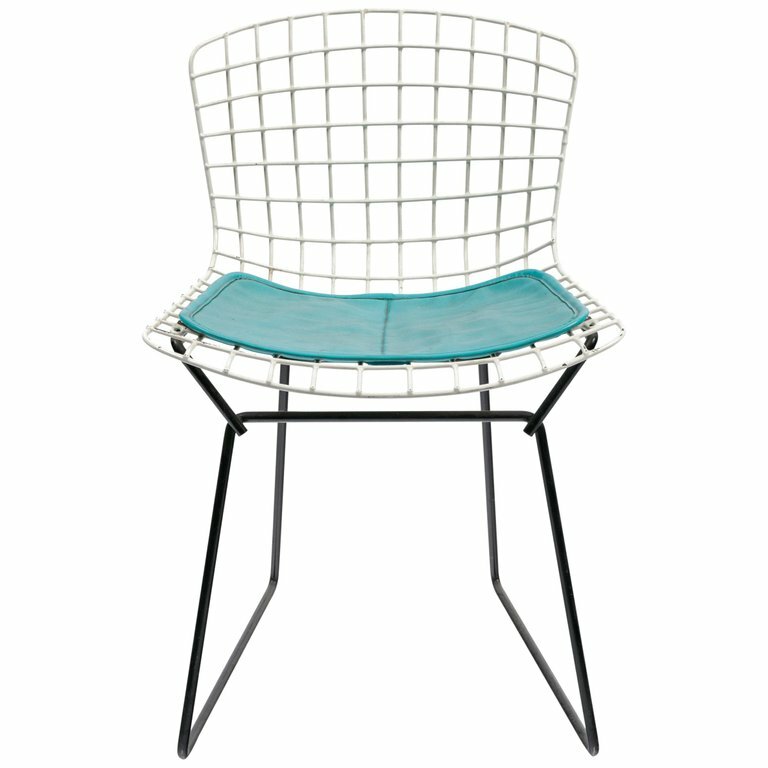 A universally recognized design, this Bertoia child's chair has a white seat with a black base and the original turquoise seat pad. H 24 in. x W 15.5 in. x D 15 in. 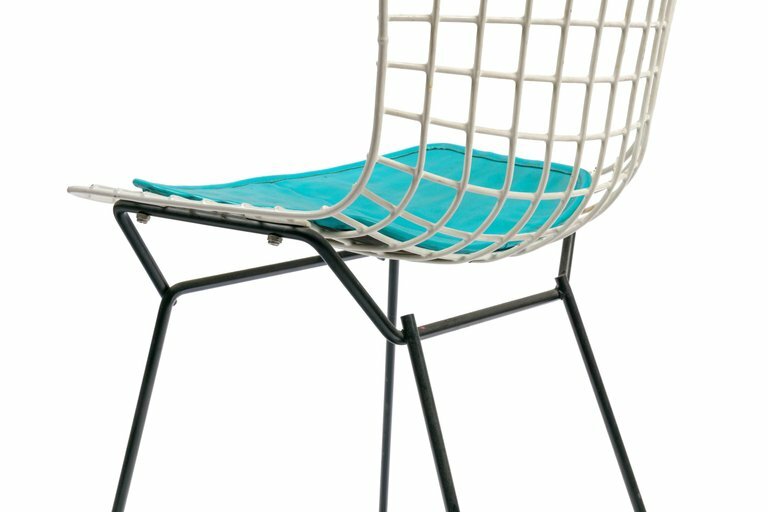 Seat H 14.76 in.